95% of marketers are using some kind of web analytics platform, and those of a massive 92% use Google Analytics. As the world’s number one web analytics platform, Google Analytics has become the industry standard for tracking website performance and shaping digital strategy. Who is visiting your website? Where are they coming from? How are users interacting with your website? Are visitors converting into leads or buyers? 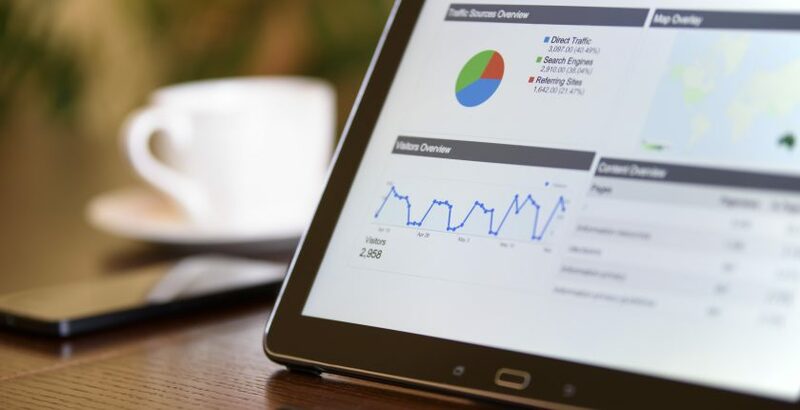 Google Analytics (GA) is the measurement, collection, analysis and reporting of web data that helps you understand user behaviour, and optimise the effectiveness of your website and goals. Get equipped with essential knowledge and skills to start keeping track of the performance of your website by signing up for a Google Analytics certification. Whether you’re brand new to GA or looking for a refresher on the basics, Analytics 101 is the seminar for you. In this course, we focus on providing you with a broad introduction to all of the reports – and more importantly, the insights – that GA can generate. We’ll show you how to understand who your visitors are, how they got to your site, what they did while they were there, and how valuable they really are. Even if you’ve never used the program before, this GA training will leave you knowing more than enough to be dangerous. Google Analytics 201 goes much deeper than the 101 course, exposing you to advanced features and analysis techniques. You’ll learn how to use powerful tools like Advanced Segments and Multi-Channel Funnels, while seeing real-world analysis techniques you can apply to your SEO efforts, your SEM campaigns, and much more. By the time you walk out of this GA seminar, you’ll be a budding Analytics ninja – not just a report squirrel. It is helpful if you’ve already created an Analytics account and have a website or blog that you can refer to, but this is not required. We start from the very beginning, introducing you to the fundamentals of web analytics, and we will have live examples to show you. An introduction to web analytics in general, and GA in particular. The dozens of reports GA provides you “out of the box”. Generating actionable insights from your website’s data. Measuring business outcomes rather than just counting visitors. How to use the most powerful features of GA.
How to measure every marketing effort your organisation is making – whether online or offline. “I feel that my personal learning objectives were met.” – Sim Jun Han, UI/UX Designer, Intelligent Money Sdn. Bhd. Interested in advancing your career with the above Google Analytics Certification, or prepping your team with relevant competences? iTrain offers in-demand digital technology certifications and has trained thousands of IT teams. Contact our iTrain course consultants at +603-2733 0337 or email info@itrain.com.my to find out more about our training courses that will help your good self or organisation stay ahead of the curve.